Gone are the days when providing technical support required an on-site visit. Today, almost all technical and computing tasks can be done using remote access control. This tool has helped thousands of IT professionals get their jobs done a lot faster. Countless organizations and business have benefited from the said technology, too. In this guide, we’ll show you why you need to invest in a remote access control tool. 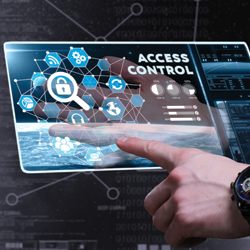 Remote access control refers to the ability to connect to a remote device from a physically separate location. It allows users to access and control another computer through an established remote connection. Once connected, they can now perform several tasks a person sitting in front of the remote PC can. They can access files, manage apps, and even fix technical issues. Remote access control is widely used in almost all types of industries. Modern businesses use remote access to allow employees to work remotely and access office files when needed. They also utilize remote access control to set up web-based presentations and conferences across various locations. With the help of remote access control, they’ll be able to maintain business continuity and stability. Efficiency - One of the fascinating things remote access control provides is efficiency. This technology allows you to provide off-site support to certain technical issues your clients have. Instead of taking a 30-minute drive, you can just easily access your client’s remote PC without leaving your actual office desk. With this, you’ll be able to fix your client’s issues faster and a lot more efficient. Cost-effectiveness - Providing remote support means you’re not spending on travel expenses such as gas, commute fee, and the like. You can also save a lot of money on other expenses such as food, clothing, and even phone data. With remote access control, you’ll also be able to avoid the struggles of dealing with traffic and public commute. Flexible Work Culture - As stated earlier, remote access control helps you provide support from anywhere at any time. This means that you can work on some technical issues even in the most unforeseen circumstances. You can also diagnose machines even outside of working hours. This helps you boost your productivity and efficiency. Multitasking - Remote access control lets you work on a number of projects all at the same time. This gives you the option to have other work commitments on the side. This type of practice, however, needs to be handled effectively. Nevertheless, it allows you to juggle as many jobs as you can. ITarian Remote Access is free remote access control software that allows you to provide off-site support from anywhere at any time. This tool is designed to provide you with an easy and convenient remote access experience. ITarian Remote Access allows you to connect to endpoints from a physically separate location. Once connected, you can now view and access your client’s desktop from afar. From there, you can assess, manage, and fix any technical issues your target endpoint has. ITarian Remote Access uses solid encryption technologies for every remote session made. This ensures that no confidential interaction between the local and remote users is unwillingly recorded and exposed. ITarian Remote Access automatically provides the users with a generated ID number and password. These log in requirements need to be provided first before a remote connection can be made. This ensures that all access made on the remote computer is authenticated and authorized. ITarian Remote Access doesn’t require users to configure their firewall settings. It uses standard technologies and protocols so no additional configuration is needed. It even works with corporate Network Address Translation systems or NATs. Providing remote support can be one of the simplest ways for you to maximize your work efficiency and productivity. It can make complicated tasks a lot easier and simpler to accomplish. Invest now in effective remote access control software and reap its benefits for your work functions. If you want to know more about remote access control, email at us support@itarian.com. Does Remote Access control information is useful?